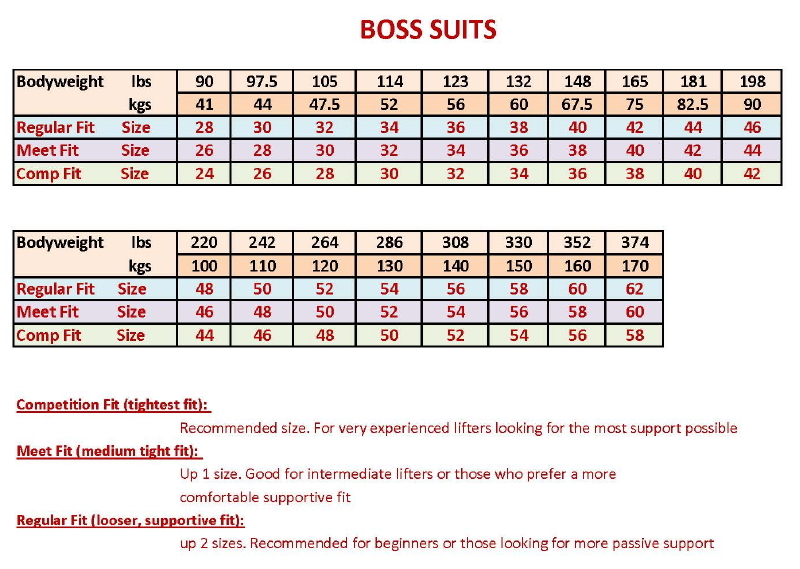 Competition Fit (tightest fit): Use recommended size. 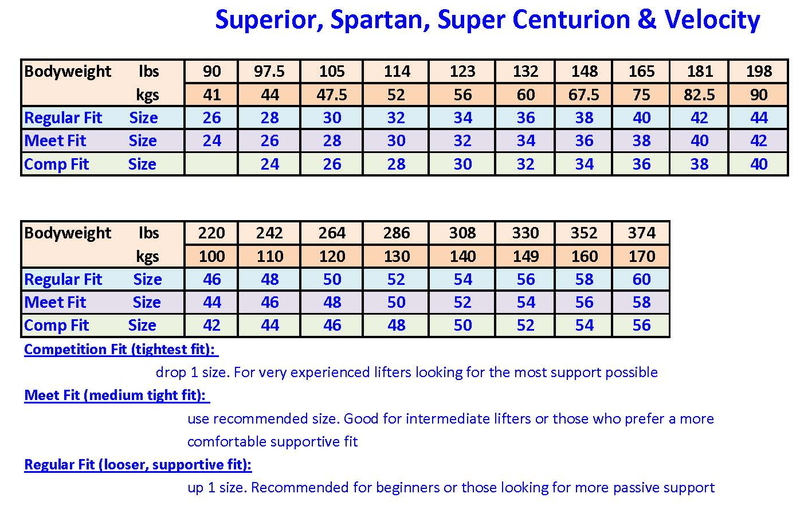 For very experienced lifters looking for the most support possible. Meet Fit (medium tight fit): Up 1 size. Good for intermediate lifters or those who prefer a more comfortable supportive fit. 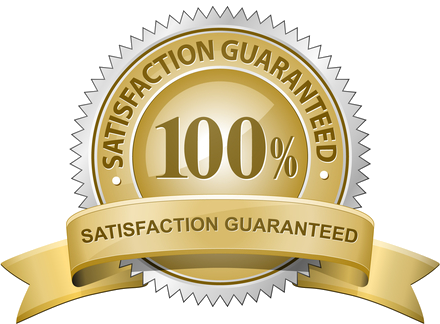 Note: Our stock sizes are based upon the average measurements of thousands of lifters. 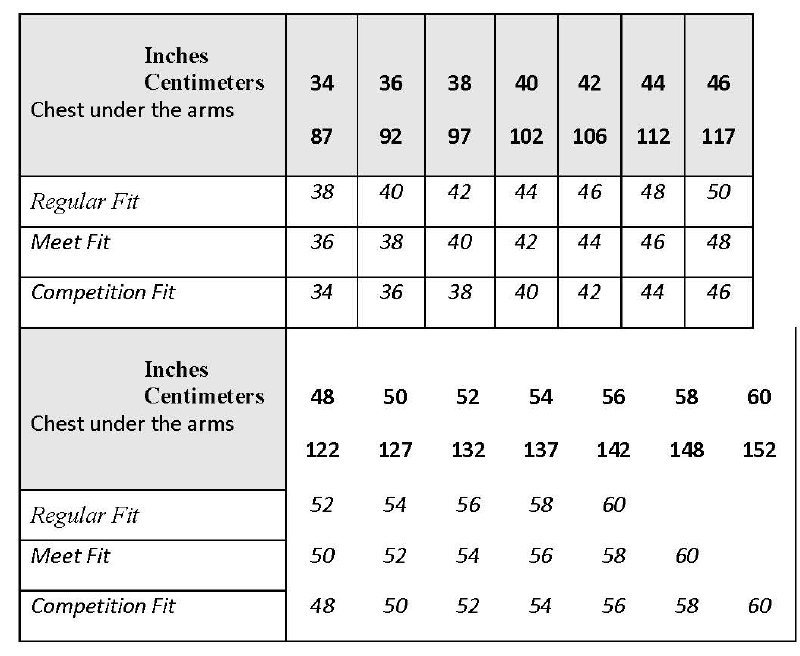 If your measurements fall significantly outside this chart then you'd be a good candidate for a custom bench shirt.